Superior Tracking Services arranged for an interesting press release to discuss points about their strategies of expanding their clientele in New Zealand. A pioneering brand name in the world of GPS tracking services. Superior GPS Tracking Services has gained a new level in the world of GPS and satellite tracking. GPS tracking systems, according to the company CEO, makes people's lives easier. Giving a briefing about GPS or as it’s long term, Global Positioning System, the company CEO stated that this is a satellite based system that works by transferring signals and there is no doubt that it is beneficial in many ways. At the beginning, it all started to boost up the cyber system of US military force. But day by day because of its various and vivid kinds of benefits, the GPS system has become a daily assistance to those who are tech savvy and also to those who are not. 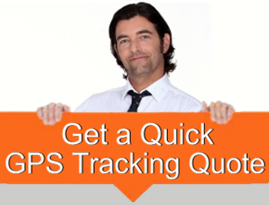 Nowadays, in the world of tracking, the GPS Tracking system is showing its strong performance. Vehicle Tracking Systems and satellite tracking are the major portions that are getting directly assisted by GPS tracking. Generally the people, who use cars and other kinds of vehicle in the performance of their daily lives, use the GS tracking the most. GPS protects a vehicle from being stolen. It instantly sends signals to the owner of the car if it gets moved by any other unauthorized person other than the owner himself. In crowded parking lots also, the GPS makes it easier for the owner to locate his own car among many other cars. An activated GPS within the vehicle keeps the driver aware of the speed control and any road rule violations, distance between one place to another, locating a certain area and place in an accurate way. It also guards pets from getting lost with the help of small transmitters. The GPS is really easy to handle and easy to operate. These are wireless systems and are also affordable so that many people can get the benefits out of it. For those who love to travel a lot and explore unknown places, GPS tracking device can be ideal guide for them. This is a specialised device management service that is immensely used by the fleet operators for their fleet managements. The urban transit system in many cities now uses this specialised technology for maintaining peace and security. The vehicular tracking system helps in recovering a stolen vehicle, field service management and surveillance as added characteristics to the overall security maintenance. This is an important software application that is commanded, as said above by some devices and a central operating system. Speaking of the huge variety of services and benefits that www.superiortrackingservices.co.nz has in store for its clients, the company authorities stated that a sole reason of organising this press release was to expand their business and add to their esteemed chain of clientele. The company CEO stated that their website is a complete information platform about their services and is sure to guide their readers and potential clients in terms of better GPS connectivity. Operating across the length and breadth of New Zealand, Superior Tracking Services is a name that all can trust. "Andrew had an excellent understanding of my needs within the first 15 minutes of our meeting. He took care of everything and was on hand every time I had a query. We have 7 vehicles with him (more to come) and have recommended him to 2 other associate companies"